If your like me you have that special date that Microsoft releases updates marked on your Outlook calendar. 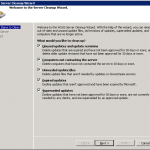 Once a month you go to the update server and approve updates and move along with your IT day. Well there is a little bit of maintenance that needs to be done to WSUS. First off you need to go and check to see what product categories you are subscribed to. 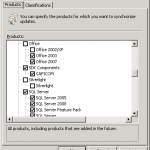 This will ensure that you are receiving updates only for the products that you support in your environment. 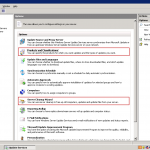 To do this open up your WSUS administrative console and click on Options in the tree menu on the left. 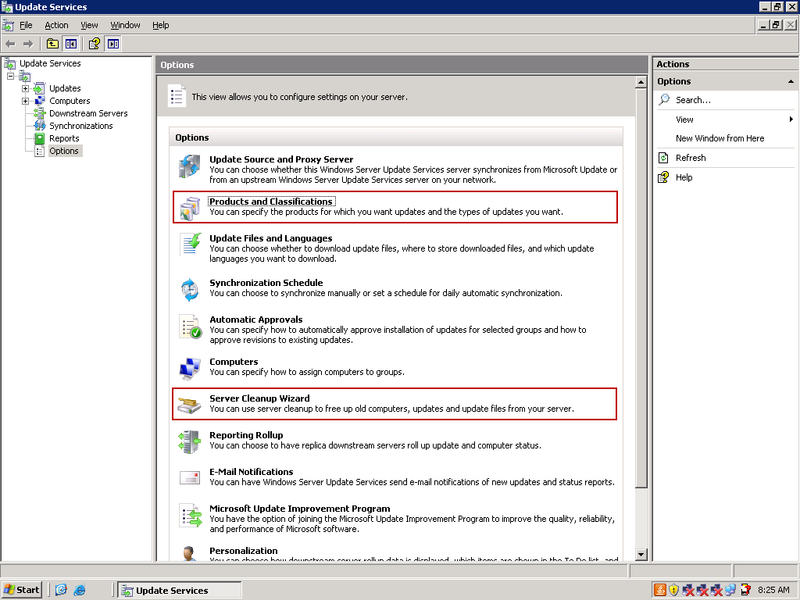 If you do not see these options you may need to update your WSUS to 3.0. From the menu then select Products and Classifications. Now Scroll though this list of products and makes sure that any of the products you support has a check by it. If you have moved everyone off of the older version of the product you can uncheck it as well. I probably wouldn’t adjust anything in Classifications as the defaults here are relatively acceptable. Once finished press OK at the bottom. Next we need to cleanup the server and remove any old updates. 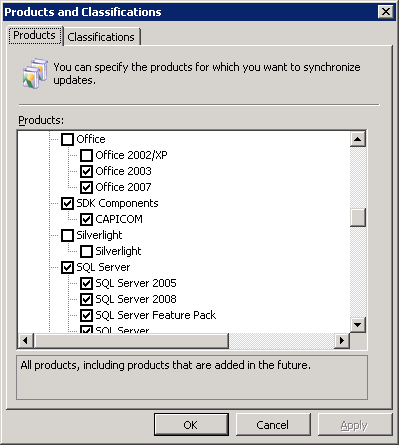 To do this from Options select Server Cleanup Wizard. Ensure that the options are correct and just click Next. 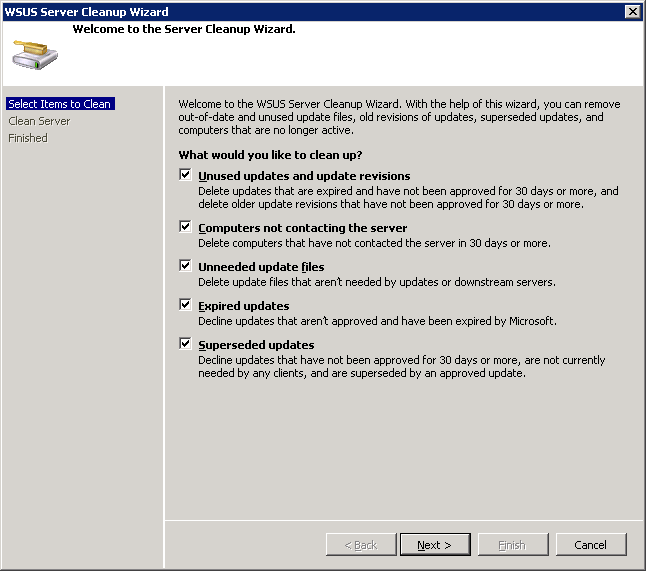 This should remove old updates from the database as well as updates that have been updated and clean up any computers that haven’t contacted the WSUS server in 30 days. It may take a few minutes to process depending on how large your WSUS database and update archive has grown to. It saved me about 20% when I adjust off Office 200 and a few other products we didn’t support and got rid of all of those updates that had been updated or not approved. Enjoy a nice clean WSUS server!